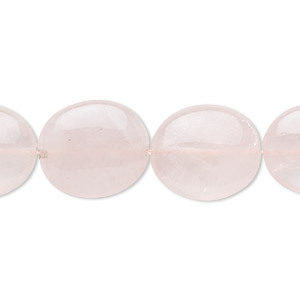 Bead, rose quartz (dyed), 8x6mm oval, B grade, Mohs hardness 7. Sold per 15" to 16" strand. This rose quartz, dyed a soft pink, has good to medium clarity. Its color is enhanced by lavender amethyst and blue agate. 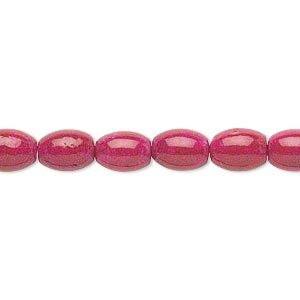 Bead, riverstone (dyed), rose, 8x6mm oval, B grade, Mohs hardness 3-1/2. Sold per 15-1/2" to 16" strand. Bead, rose quartz (natural), 14x12mm flat oval, B grade, Mohs hardness 7. Sold per 15-1/2" to 16" strand. 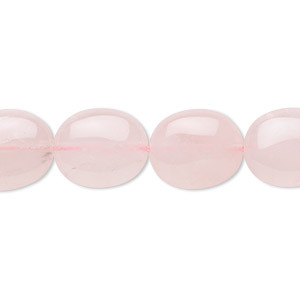 Bead, rose quartz (natural), 10x8mm oval, B grade, Mohs hardness 7. Sold per 15-1/2" to 16" strand. 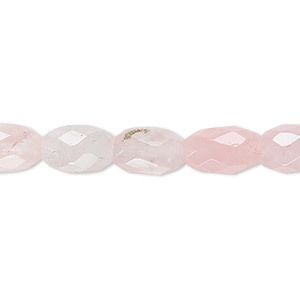 Bead, rose quartz (natural), 10x7mm faceted oval, B grade, Mohs hardness 7. Sold per 15-1/2" to 16" strand. 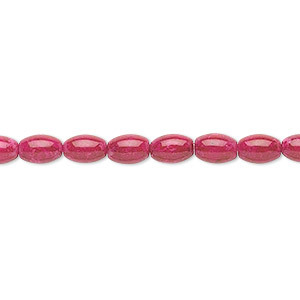 Bead, riverstone (dyed), rose, 6x4mm oval, B grade, Mohs hardness 3-1/2. Sold per 15-1/2" to 16" strand. 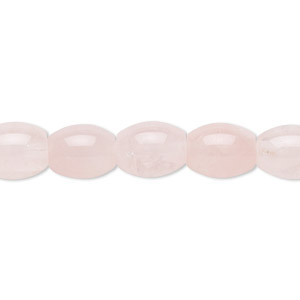 Bead, rose quartz (natural), 16x14mm flat oval, B grade, Mohs hardness 7. Sold per 15-1/2" to 16" strand. 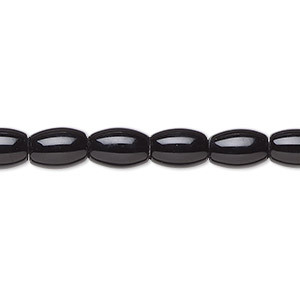 Bead, black onyx (dyed), 8x6mm oval, B grade, Mohs hardness 6-1/2 to 7. Sold per 15-1/2" to 16" strand. 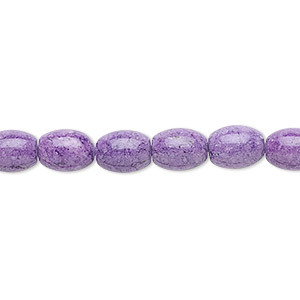 Bead, riverstone (dyed), light purple, 8x6mm oval, B grade, Mohs hardness 3-1/2. Sold per 15-1/2" to 16" strand. 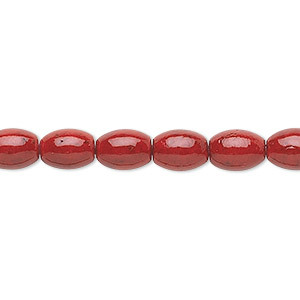 Bead, riverstone (dyed), beet red, 8x6mm oval, B grade, Mohs hardness 3-1/2. Sold per 15-1/2" to 16" strand. 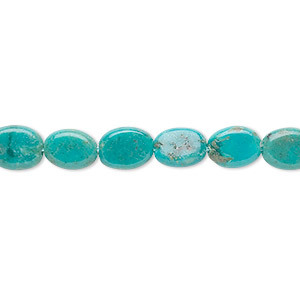 Bead, turquoise (dyed / stabilized), 8x6mm flat oval, B grade, Mohs hardness 3-1/2 to 4. Sold per 15-1/2" to 16" strand.